Compact, cost-effective, all-in-one 600 series Mobility Controllers from Aruba are ideal for branch office network deployments. 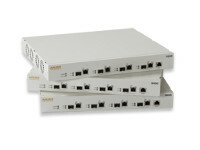 The 600 series supports up to 512 users and performs stateful firewall policy enforcement at speeds up to 2 Gbps. The 600 series is an integral part of the Aruba Virtual Branch Network™ (VBN™) deployments, which utilize central Mobility Controllers in the data center for management, user-centric security, and role-based network access. Aruba’s centralized zero-touch configuration and management model enables the 600 series to be deployed, monitored and controlled without any local IT staff. Deployment options include remote management or local configuration via a web interface. Capable of supporting up to 16 Aruba access points (APs) or two Mobility Access Switches, the 600 series provides local wired and wireless access or can operate as a wired-only device. The following is a partial list of tested and fully supported USB modems. Some modems not on this list may be fully supported with factory-default configuration, while others may require controller con­figuration in order to function. 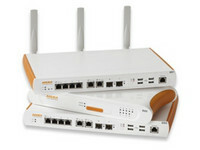 An updated list can be found at http:// www.arubanetworks.com/usb_devices. The following is a partial list of tested and fully supported USB print­ers. Some printers (such as the HP LaserJet 1000 series) require a firmware upload each time they are powered on. These printers are currently not supported. An updated list can be found at http://www. arubanetworks.com/usb_devices. The following is a partial list of tested and fully supported USB storage devices. An updated list can be found at http://www.arubanetworks. com/usb_devices.